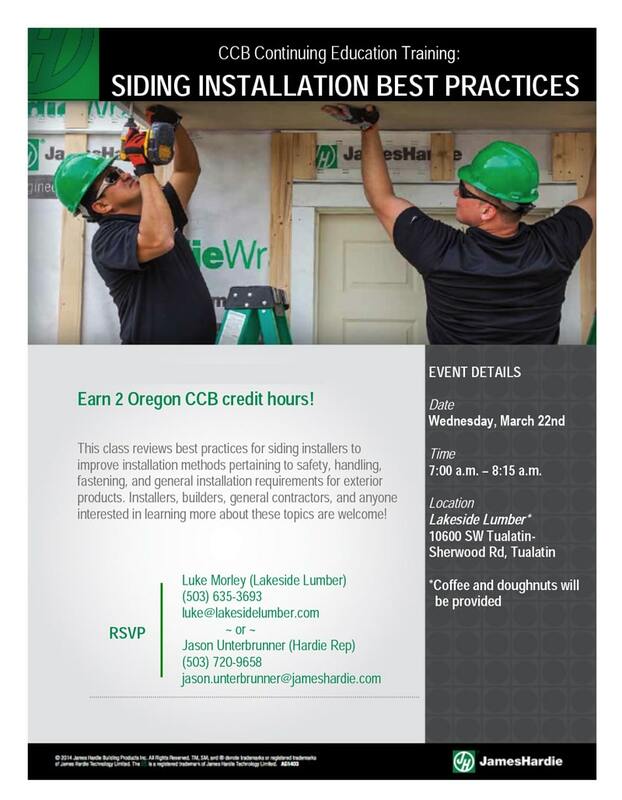 Earn 2 Hours of Oregon CCB credit! This class reviews best practices for siding installers to improve installation methods pertaining to safety, handling, fastening, and general installation requirements for exterior products. Installers, builders, general contractors, and anyone interested in learning more about these topics are welcome!